This blog has emphasized the Goss, Spracklin, Keller and Delano side of my father’s ancestry. 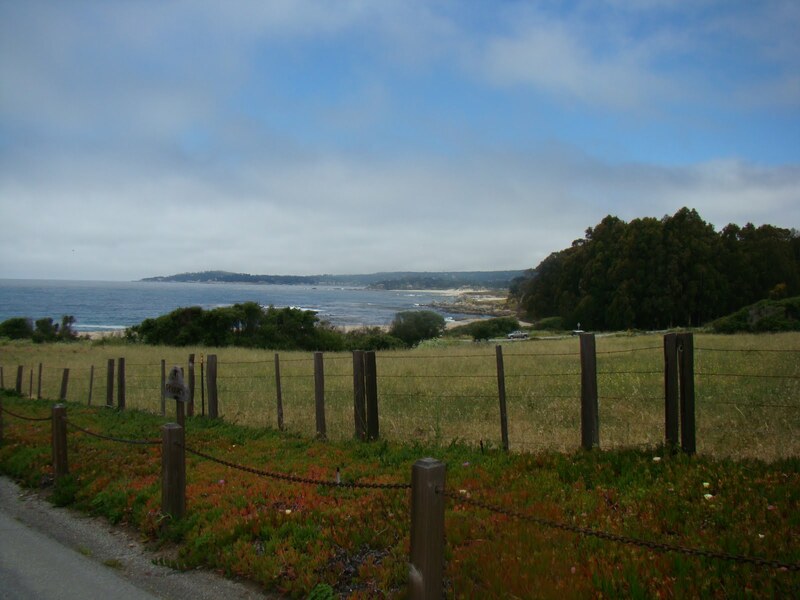 No sooner had I returned from D.C. then I was off again to Carmel, California. I went to visit with and celebrate my dad’s McDonald/MacDonald side. Actually the name of MacDonald can be spelled several ways: McDonald, McDonell, MacDonell, Macdonell or McDonnell, Macdonnell…My father spelled it “MacDonald.” His siblings and father spelled it McDonald. The Man Who Lived Airplanes at: http://macdonellfamily.wordpress.com/ I have not discussed Duncan’s family yet, but will be doing so soon in future posts. I learned of Ruth through my cousin Mary McDonell Louiseau who died a few years back. She was niece to my grandfather Ronald. I had the good fortune to visit Mary twice before she passed. She was 87 when I first met her, tiny in stature, a little bent over but big in personality. She told me about Ruth: “I think Ruth is a cousin?” was her comment one day on the phone. This was a year after I had visited her. Keep asking questions and letting family know, you never know when they will remember or tell you something about family. The other part of this story is their daughter. She went into the Carmelite Monastery 50 years ago and she was celebrating as well!! She recently stepped down from being the Reverend Mother. Ruth and John have two sons in addition. She is known as Sister Teresita. I had an opportunity to visit her that same trip. http://www.carmelitesistersbythesea.net/homepage.htm Under the section Community Life there is a photograph of the sisters and my cousin is the one with the glasses. So this was a big celebration! I left on Friday, June 10th and was at the Monterey Airport by 2:30 p.m. I rented a car and headed out to the monastery to visit with Sister Teresita and scope out the place to see where to set up my video camera and make a movie. Much to my surprise Sister Teresita was out and about preparing for the next days events. This is a cloistered monastery so having her physically in front of me where I could touch and look her in the eye was a treat. We made plans for the video. I was so proud that I remembered how to get there. It is an amazing place and the gardens are lovely. 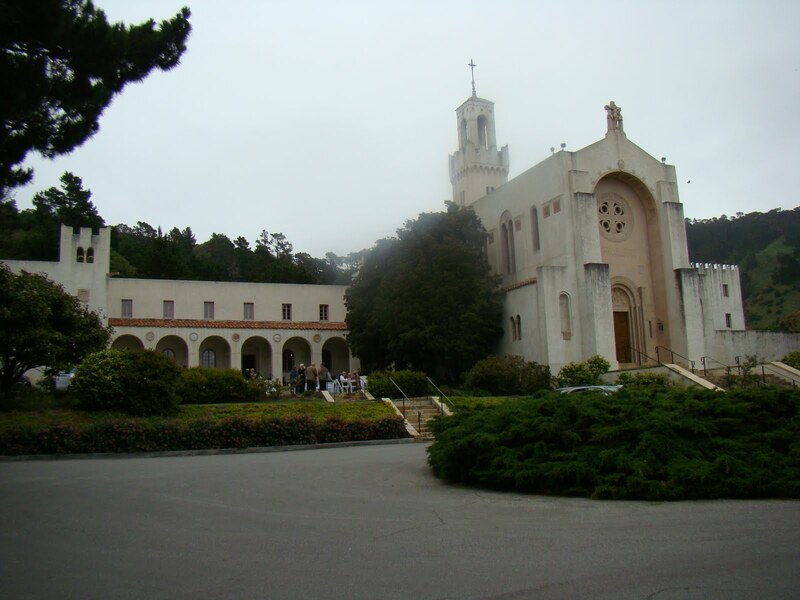 Carmelite Monastery, Carmel, California – Mass is held regularly in the chapel to the right! The Pacific Ocean is right across Hwy 1. The celebration on Saturday morning was beautiful. There was beautiful music by a young violinist that Sister Teresita knew and had come from New York and his classes to just be there for her. The bishop was also there with 11 other priests. 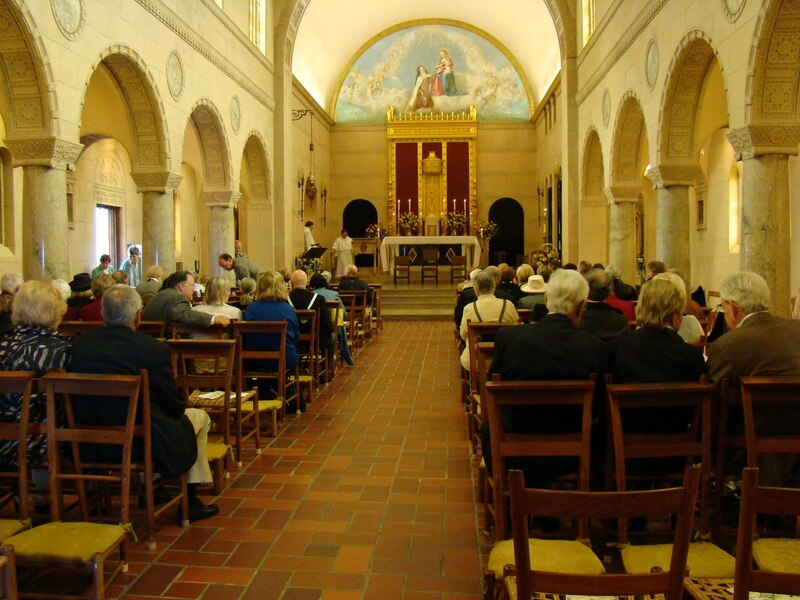 The nuns are in the cloistered area to the right of the altar but you can hear their beautiful singing voices. The Chapel was filled to the brim and it is not small. There were people up in the balcony. There were others outside who could not get in for the Chapel was full. The service continued with prayers and what is called the Homily followed by the Jubilee Blessing and Renewal of Religious Vows and the Renewal of John and Ruth’s marriage vows. 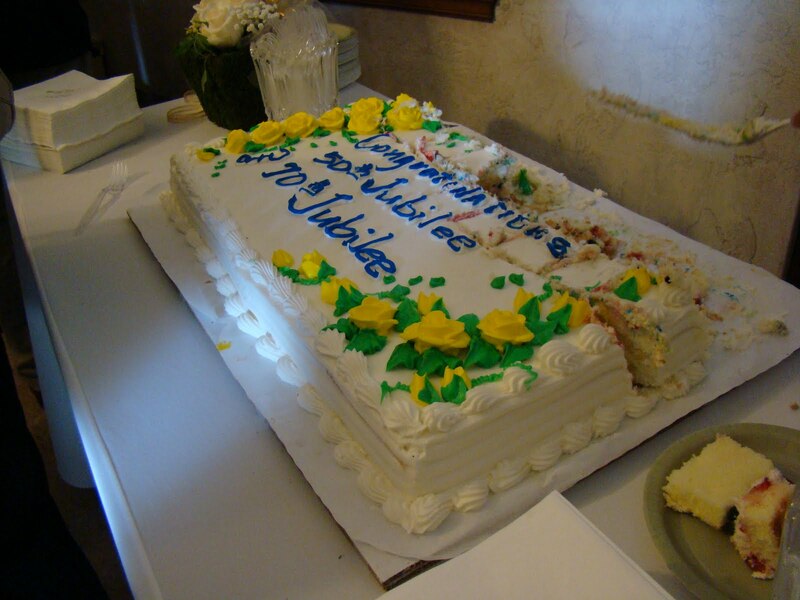 After the ceremony there would be cake and a buffet. Now this is a monastery and not really set up for a large number of people but somehow they managed to arrange things so that everyone was served. Fortunately it did not rain but it was not sunny either and they had tables outside on the lawn. The food was delicious and everyone seemed to be in good spirits and enjoying themselves. The whole weekend was filled with food, fun and sharing. On Friday, the night before, we all gathered at a Bahama Billy’s restaurant to get to know each other. After the celebration on Saturday about 5 pm family and out of town guests arrived at the Mission off Rio Drive to partake of more food and everyone taking turns to share. It was a great day. Sunday, I waited impatiently to visit with Sister Teresita my 3rd cousin and finally 2:30 pm came and I spent a lovely time chatting with her in the first Speak Room at the monastery where she is behind the bars. She reintroduced me to her dogs. You can touch and see her but she is separate. She was wearing her garland of flowers. She said that in the olden days back when she joined the order you were even more restricted so things have changed. Her parents arrived as well as her brother John Jr. with his wife and we chatted till we headed out for dinner. On Monday I got another chance to visit with Sister Teresita and her parents when Ruth invited me to come to the monastery that morning. I had said goodbye to them the day before but I didn’t hesitate to go. It was a beautiful weekend and I was happy I went for I was the only McDonald to be there. 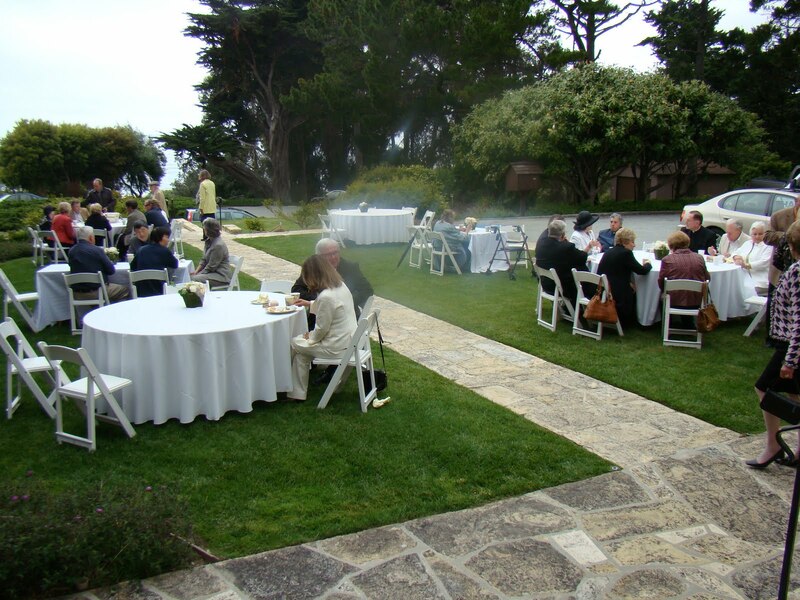 Most of the people attending were Flynn’s or friends of the family. Of course, I listened to every word and as much as I could understand about John’s family history. I did get his mother’s name: Hannah. My gift to Ruth was a booklet of her family history down from Duncan McDonell with pictures of my family so she could see how we all fit in. Now her eye sight is not good so I hope she does take time to look a little bit at the booklet. I am very glad I went to share this time with my cousin Ruth and her family. She is a tiny person. I figure she is probably the size of my Aunt Vivian, my father’s older sister who was 4 ft. 11 inches. John is the sweetest man I have ever met. His face just lighted up when people greeted him. John and Ruth received a Papal blessing from the Pope as presented to them by the bishop. Getting back home was a challenge. San Francisco was socked in with fog and my plane was delayed till 4:41 from the 2:35 time. I had to re ticket and get a later flight from San Francisco to Seattle. Good thing I had my Nook Color fully charged and could read to my hearts content. I pondered the events of the weekend. Two people in their 90’s still vibrant and as a healthy as possible and still loving each other and together at that advanced age. Wow! My father didn’t know Ruth and John. He did know Mary who was a daughter of Jack McDonald his uncle. He was nine years older than Ruth and three years older than Mary. He would be 101 years old so in reality he would not be alive now but if the heart attack had not taken back in 1970 he could have known them. John and Ruth married the same year as my parents! We traveled on vacation to California in the middle 1950’s and we could have visited if we had known them. I wonder what my dad would have thought of all this? ?